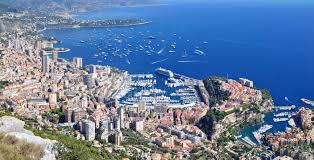 Buying properties in Monaco - prestigious! What can we first say about the Monaco? Monaco - a great climate, excellent service and prestige. Nearby - the French Cote d'Azur. Due to these factors, residential properties in Monaco are very popular among foreign investors. It is considered one of the most promising investments in the global real estate market. Any realty in Monaco is prestigious, and even the most affordable apartments - are not cheap, according to your criteria. Purchase of real estate in Monaco - an expensive pleasure, but it is certainly worth it. Apartments and houses in Monaco are more expensive than their counterparts on the French Riviera, and according to some estimates – it is the most expensive real estate in the world. Monaco is run out of space for new developments, so there is no housing from the builder on the market. Objects from the owner are for sale are also not so much. The crisis has not affected on the housing market in Monaco due to the country's stability and the excess of demand over the supply, so the prices are keep rising and investments in the local real estate does not lose their relevance. The country is so tiny that it can be said that all of its property is located on the sea – villas built right on the coastline or those who are a little further, but in any case it is quite easy to get to the beach. The principality has a total of four cities - Monaco-Ville, Monte-Carlo, Fontvieille and La Condamine, and you can walk from one city to another. In the capital Monte-Carlo boils elegant social life with lots of activities, often associated with the sea and the coast, for example exhibitions of prestigious yachts and regattas. The famous race “Formula-1” starts exactly there. Opening a bank account in the amount of 100 thousand Euros for a residence permit. Conclusion of a preliminary contract and payment of deposit of 10% of the cost. Conclusion of a contract for purchase and sale in the presence of a notary. Transfer of the remaining 90% of the amount and property registration in the name of the purchaser in the registration desk. That's all - Monaco is waiting for you!